As the Big Lottery Merseyside project comes to an end, Volunteers met to celebrate the end of one chapter, and the beginning of the next. The Reader’s Head of Membership, Ben Davis pays tribute to a fantastic project and the people who made it. LightNight returns to brighten the cityscape next month and The Reader have teamed up with Bido Lito! to illuminate the Anglican Cathedral. A Little, Aloud with Love is launched! Last week was a special one – not only because it was Valentine’s Day, but also because we officially launched A Little, Aloud with Love! 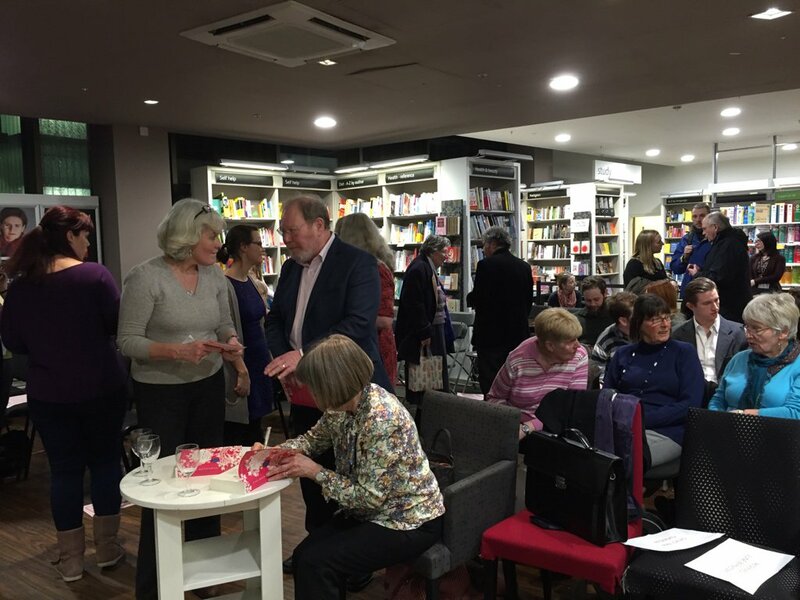 Our destination was Waterstones Liverpool ONE – a beautiful and suitably intimate setting for book lovers. Before things got underway, guests were treated to fizz, nibbles, chocolate and even Love Hearts, if they took their fancy, and were serenaded with live love songs from our musicians playing everything from The Beatles to Ed Sheeran – the mood was perfect to make us feel full of love. Owner of one of the smoothest voices on radio, BBC Radio Merseyside’s Roger Phillips played host for the evening, leading us effortlessly through the many aspects of love the book contains and posing some romantic teasers to our guest readers. Starting the evening in style actor, performer and presenter Mike Neary read Haruki Murakami’s On Seeing the 100% Perfect Girl One Beautiful April Morning, causing sighs and contemplation, giving lots to think on the topics of love at first sight and feelings of romantic deja vu. Mike also spoke about the beauty of reading aloud, which is something we definitely agree with! 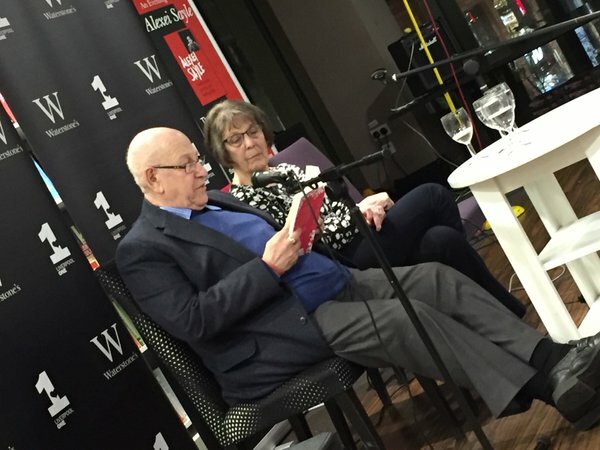 The evening took a more poignant turn with paired readings from A Little, Aloud with Love’s editor Angela Macmillan and Professor Philip Davis, Director of the Centre for Research into Reading, Literature and Society at the University of Liverpool. Angie read a heartwrenching extract from Under Storm’s Wing, written by Helen Thomas in memory of her husband, the poet Edward Thomas, who was killed in World War One. Hearing it next to a poem from Edward – emotionally titled And You, Helen, and read by Professor Davis – made the selection all the more moving. After a break for more treats amongst the rose petals, tears of sorrow quickly turned ones of laughter as Gogglebox favourites and veterans of love June and Leon took to the stage to read to one another and the eager audience – June’s choice being My Lover by Wendy Cope and Leon replying with Love Poem by John Frederick Nims. The local lovebirds – married for over 60 years – told us about the most ‘unromantic’ things they do for one another and shared some of their secrets of what makes such a long-lasting relationship. The night was rounded off by none other than The Reader’s Founder and Director Jane Davis with plenty of words of love to set A Little, Aloud with Love out into the world. There was even an extra treat for a lucky crowd member thanks to a sumptous hamper donated by Delifonseca, all for buying a copy of the book on the night. We’ll be celebrating the book in London later this year – another love-filled event for us to look forward to, and there’ll be further details to come right here on the A Little, Aloud blog in the coming weeks. There’s no need to wait to get your hands on a copy however, as they’re available to buy now, in stores and online. Author The ReaderPosted on 16th February 2016 16th February 2017 Categories A Little Aloud, A Little, Aloud with Love, Other AnthologiesTags Gogglebox, Leon and June, Liverpool, Mike Neary, Roger PhillipsLeave a comment on A Little, Aloud with Love is launched! 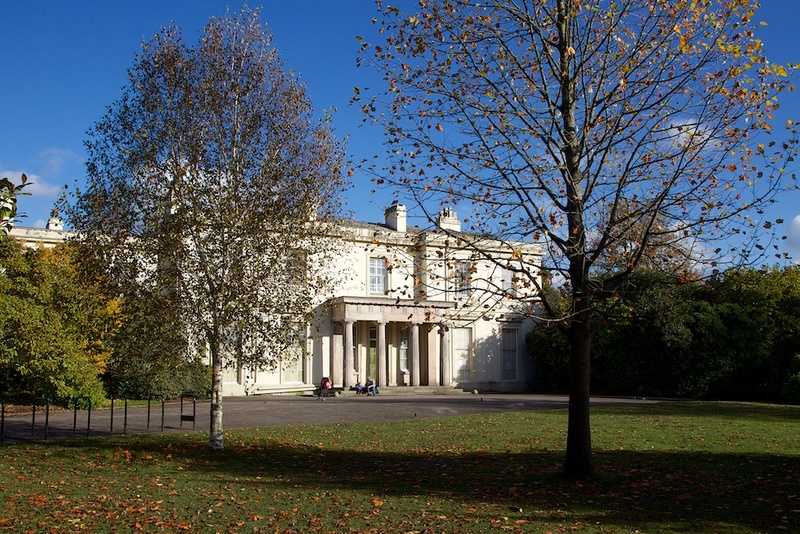 As part of the ongoing ‘Connect at Calderstones’ project supported by the Heritage Lottery Fund, The Reader Organisation alongside National Museums Liverpool will be offering a number of heritage activities and events within Calderstones Park in the coming months. All of these special events are leading up to The Big Dig, a wide-scale community dig which will bring people closer to the park than they have ever been before. 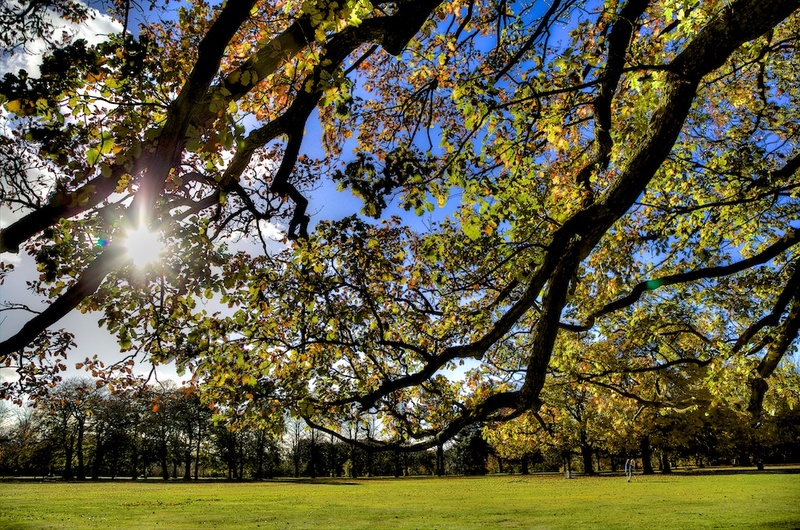 The Big Dig will begin this April and visitors are welcome to join in the two-week digging period, exploring the park in the hope of unearthing some hidden treasures that could join the Neolithic Calder Stones already housed in the park – the earliest human monument in Merseyside. The project is especially exciting as it will be the first time Calderstones is open to public access for historical excavations. If you’ve always fancied yourself as an Indiana Jones or Time Team explorer or perhaps are looking for a new hobby to embark on this New Year, this is the perfect chance to do some exploring right on your doorstep! Be sure to keep logged on to the Big Dig blog for more news in the coming months. 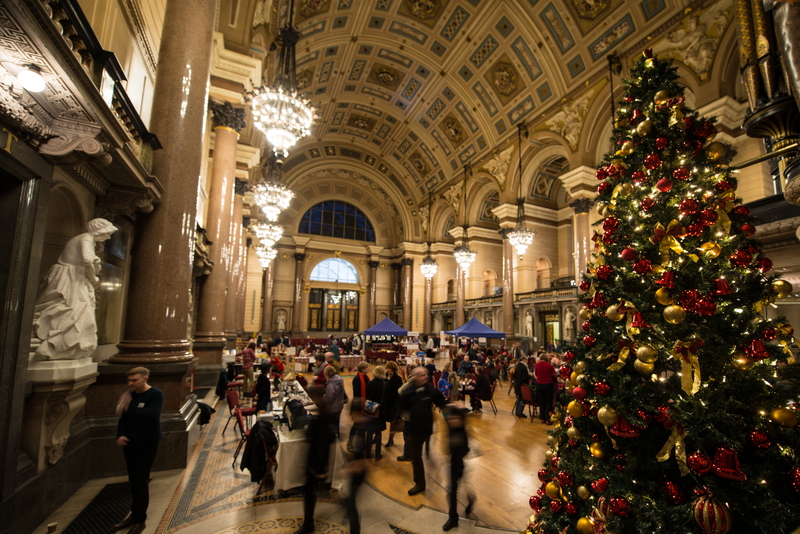 The Reader Organisation’s most popular annual event is returning for its eleventh year and is already highly anticipated – and today we can announce the dates for when you’ll be able to get your hands on tickets to the Penny Readings 2014, which returns to St George’s Hall in Liverpool on Sunday 21st December. Tickets will be released to the general public in the week commencing Monday 17th November. This year, tickets will be allocated on a first come, first served basis, available both online, at Calderstones Mansion House and further distribution points to be announced at a later date. Members of our shared reading groups will be able to apply for priority tickets two weeks before general release, on Monday 3rd November, and can apply through their group facilitators. As ever, you’ll be able to apply for tickets to the family-friendly Ha’penny Readings in the afternoon as well as the evening event. ‘Sigh no more’… Globe on Tour is returning to Calderstones Mansion House! ‘Wow! Now THAT is life!’… These were the words of an audience member who attended last year’s sell-out performance of King Lear by The Globe on Tour, when the garden theatre at Calderstones Mansion House was unveiled for the first time in thirty years. 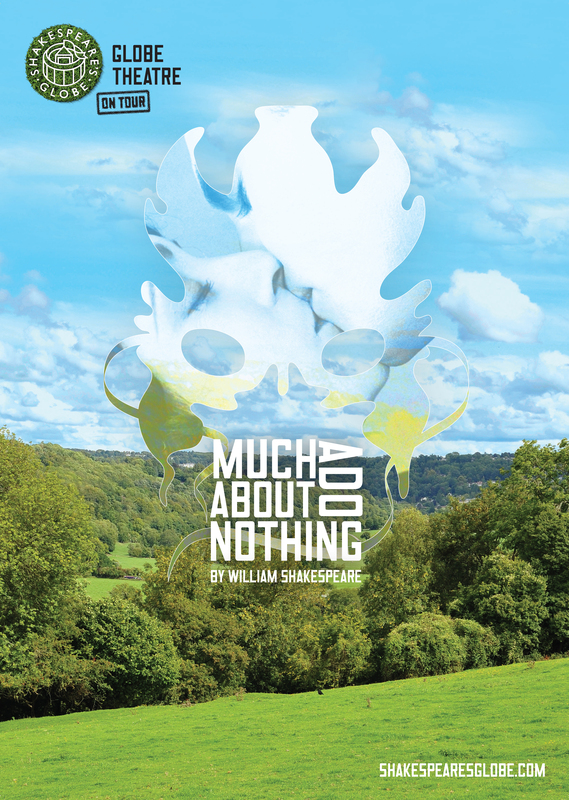 After such a wonderful success, we are overjoyed at The Reader Organisation to announce that The Globe are returning to Calderstones this June, with one of Shakespeare’s finest comedies, Much Ado About Nothing, packed with memorable lines, and – I think – two of Shakespeare’s wittiest characters. Much Ado tells the tale of two love stories, one – between Hero and Claudio – of romance, open declarations of love, and drama; the other – between Beatrice and Benedick – a battle of sharp-wit, denial and passion from the play’s two favourite comedic characters. Played previously by stars such as Judi Dench, Emma Thompson, Kenneth Branagh and David Tennant, Beatrice and Benedict are renowned for their sharp tongue, and adorable denial of love. With these characters, Shakespeare has undoubtedly inspired many famous literary couples such as Austen’s well-known couple, Mr Darcy and Elizabeth Bennett. Like many of Shakespeare’s plays, Much Ado About Nothing comes with a host of lines and phrases, which remain present in our everyday lives… for example, the popular track Sigh no more, by Mumford and Sons, features a number of lines from Much Ado About Nothing. ‘@The_Globe #Lear is exactly as touring Shakespeare should be. Snappy, high energy and inventive’. Ticket information:Tickets are now on sale! To purchase your tickets online, please visit: Shakespeare’s Globe website. There is a transaction fee of £2.50 for online bookings. Please contact The Globe’s Box Office on 020 7401 9919 if you want to book for a Group; if you require access bookings; if you have children U18 or would like to use Theatre Tokens. N.B. Concessions do not apply to Senior citizens for theatre performances. Discounts cannot be applied retrospectively. Tickets will sell out, so book yours now to make sure you don’t miss out! The Reader Organisation has a limited number of £15 discounted tickets for shared reading group members and volunteers which can be obtained through your group leaders. Author Beth PochinPosted on 3rd April 2014 Categories Events, UncategorisedTags #Events, #MuchAdo, Calderstones, Liverpool, Shakespeare, William Shakespeare2 Comments on ‘Sigh no more’… Globe on Tour is returning to Calderstones Mansion House! On Saturday the 15th of February The Reader Organisation is inviting volunteers to come along and give some necessary love and attention to Calderstones Mansion House and allotment. We’re looking for willing painters, planters, decorators or diggers to help brighten some rooms with a lick of paint and get our allotment plot ready to grow. 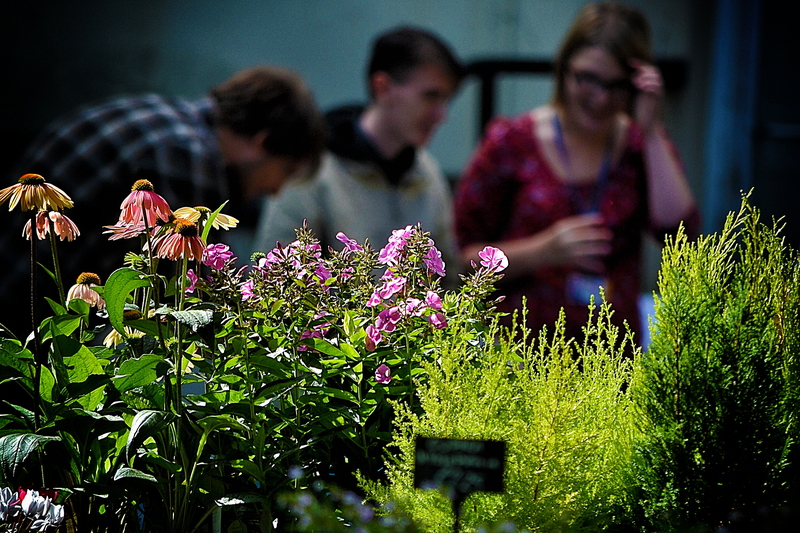 All volunteers will be fed with endless tea, coffee and biscuits, and a hearty, warming lunch. If anyone has any equipment they could lend us, or even donate to the project, then please do get in touch or bring it along with you on the day. For more information and to book your place, please contact Paddy Morrison on 0151 724 5000, or email paddymorrison@thereader.org.uk. Help make Calderstones Mansion beautiful! 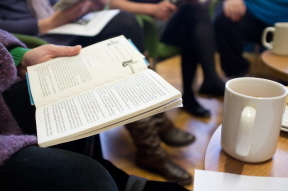 Blackburne House runs a weekly Get Into Reading group, where you’re surrounded by great company with a chance to read aloud and enjoy some great literature. I had the chance to get involved and see what they were reading. Blackburne House is a successful and vibrant organisation that has grown from a centre of education for women therefore the group, run by volunteer Pat Otty, is a women’s only group. It was a very relaxed atmosphere, with tea, biscuits and even crackers with Philadelphia (I ate a lot of this). A small group at the moment, Pat explained that there are usually a few regulars that come and enjoy the literature. We started the group with a short poem called Somebody by Alfred Lord Tennyson. Pat pointed out that when we finished it we were all just smiling at the page trying to figure it out. As it was confusing at first we tried reading it again and this time had a lot to discuss and talked about how the poem wasn’t dated and how relevant it could still be today. Would you have called me nobody? We thought about how today “labour-saving machinery” is a big part of our everyday lives e.g. self- check-out machines. We had a discussion and a good moan about how much easier it is to go to someone on a till and how the machines will have taken people out of a job. We talked about how people now live such busy lives that we have become far too impatient to even wait in line for to pay for our weekly shop. As a society we rely so much on technology that we forget that it often replaces human to human contact. It’s interesting that what Tressell wrote so many years ago can still ring true today. The Blackburne House Get Into Reading group (women only) meets every Monday, 11am-12:30pm. So, come along for a cup of tea, a biscuit and good company. Take a break and immerse yourself in a good book. Blackburne House can be found on the east side of Hope Street, Liverpool City Centre. Click here to access an online map and click here for directions to Blackburne House from Liverpool Lime Street station. Something big is happening at The Reader Organisation’s base at Calderstones Mansion House this January, as we join up with Impact48 to further the reading revolution. 2014 is Liverpool’s Year of Reading and as part of our partnership with Liverpool Council and Liverpool Learning Partnership we’re launching our City of Readers project which aims to get the whole city reading – through schools, through families, through businesses all sharing reading with one another. Over 48 hours we’ll be joining up with Impact48 to develop a website for Liverpool City of Readers, build apps and create a marketing campaign that will use social media to help promote the project. Impact48 events bring together a charity, a sponsor and a team of volunteers to spend a fun and challenging 48 hours making a positive impact to the organisation at its centre. Previous Impact48 events have worked with Music in Hospitals Scotland and Edinburgh Cyrenians, and we’re excited that they’ll be coming to Liverpool to spend a weekend at Calderstones, creating something big that will impact so many people. 48 hours will take a lot of motivation and people power to complete, so we’re looking for volunteers to get on board and be part of the weekend. Are you or do you know I.T and web specialists, software developers and app developers who could help us to realise our vision of city-wide reading using technology? We’re also looking to kick start the City of Readers project and Liverpool’s Year of Reading by using the time to record 48 hours of reading and collect 4,800 books that can be used as part of the project. Anyone is welcome to come along, give us some time and some books, pop into the Mansion House for a chat, coffee and look around. To register your interest to volunteer at the weekend at Calderstones Mansion House, head over to the Impact48 website.